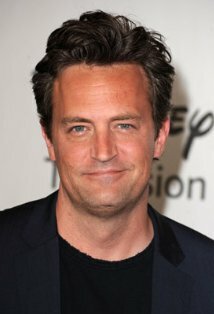 Born in Williamstown, Massachusetts, Matthew Perry was raised in Ottawa, Ontario, where he became a top-ranked junior tennis player in Canada. However, after moving to Los Angeles at the age of 15 to live with his father (actor John Bennett Perry), he became more interested in acting. In addition to performing in several high school stage productions, he remained an avid tennis player. Perry ranked 17th nationally in the junior singles category and third in the doubles category. Upon graduating from high school, Perry intended to enroll at the University of Southern California. However, when he was offered a leading role on the television series, "Second Chance" (1987), he seized the opportunity to begin his acting career.Perry appeared in the hit comedy film The Whole Nine Yards (2000), as the neighbor of a hit man, played by Bruce Willis. His other feature film credits included Fools Rush In (1997), A Night in the Life of Jimmy Reardon (1988), She's Out of Control (1989) and Parallel Lives (1994) (TV). He also co-starred with Chris Farley in the buddy comedy Almost Heroes (1998) and in the romantic comedy, Three to Tango (1999), opposite Neve Campbell. Perry currently resides in Los Angeles. He enjoys playing ice hockey and softball in his spare time.